Goodbye doodles. Hello 3D clarity. 3D canine anatomy to improve communication and increase compliance. Designed in partnership with leading veterinary institutions. Virtual dissection helps explain diagnoses and recommendations, and is also great for surgery planning. Peel away layers, hide components, and isolate regions, and visualize the spatial relationship between anatomical structures. (Coming soon) Pathology animations enable you to clearly show clients how their pet’s health will deteriorate over time if left untreated. An easy to use time slider puts you in control of explaining common pet health issues. Make EasyAnatomy yours with bookmarks, notes, and annotations. Save frequent camera positions, point out important structures, and create your own library of personalized client communication resources that you can pull up in an instant. 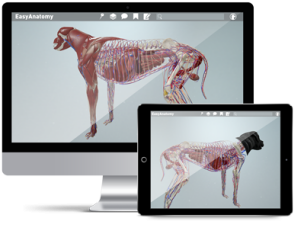 EasyAnatomy is the only interactive 3D canine available on mobile devices that meets the demands of practicing veterinarians. EasyAnatomy goes where you go, allowing you to communicate with clients wherever it’s convenient. EasyAnatomy enhances the client experience, bringing conversations to life and making complex subject matter easy to understand, so clients can feel confident complying with your recommendations. As an all-in-one solution, EasyAnatomy is a client communication tool, a quick reference guide between appointments, and a resource for effortlessly making incredible case notes (say goodbye to doodles). As the most advanced veterinary software available, EasyAnatomy demonstrates your practice’s ability to stay at the forefront of technology – increasing client LTV, word-of-mouth, and practice footfall. The convenience you’ve been wishing for. 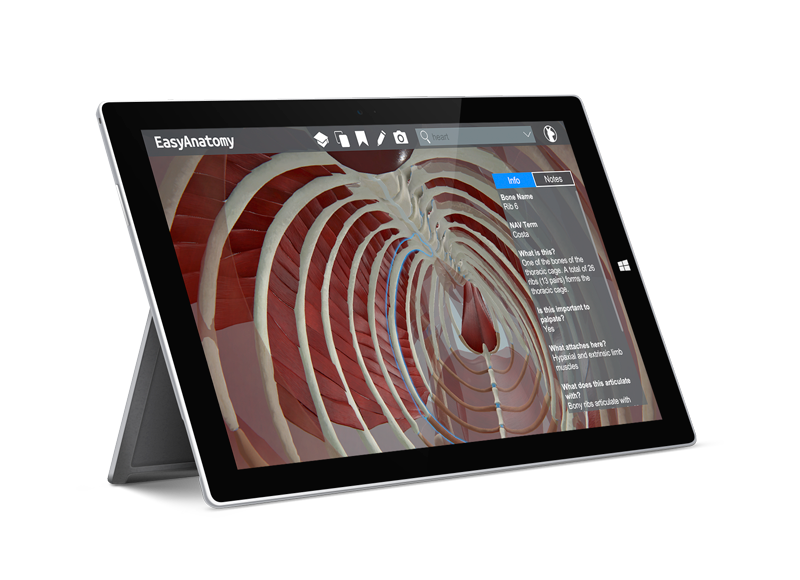 Download EasyAnatomy on all your devices and take it with you wherever you go. 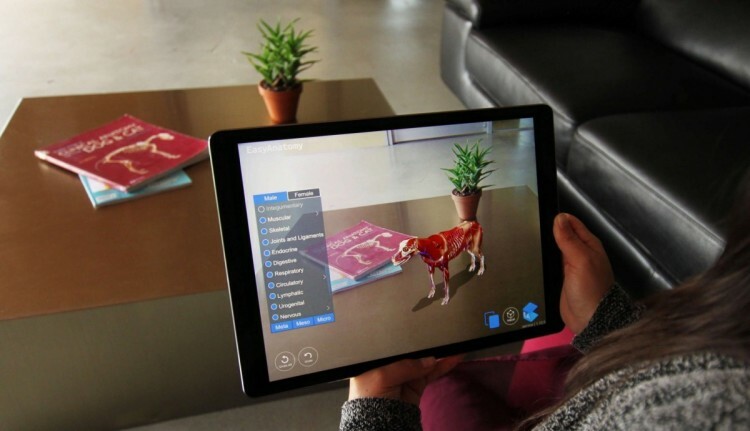 Explore, study, and dissect virtual dog anatomy in augmented reality on iPhone and iPad with EasyAnatomy + Apple ARKit. Virtually dissect by peeling away layers system by system, and learn how structures truly relate in their natural position. Breakdown the communication barrier and increase client compliance. 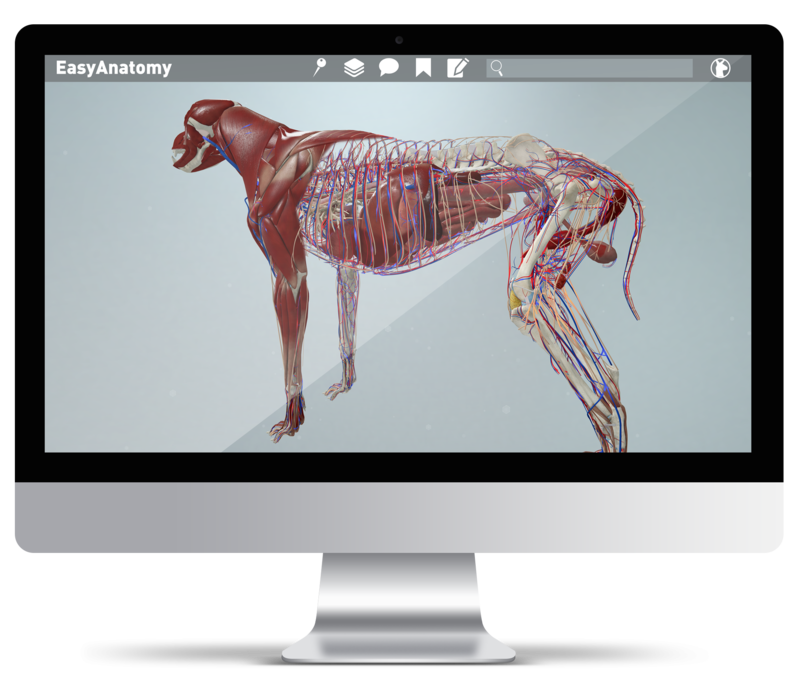 EasyAnatomy features the complete canine in 3D, plus animations for common pathologies, so you can explain concepts to clients without doodles, cumbersome models, and insufficient diagrams in textbooks scattered around the office. Between appointments and during surgery prep, EasyAnatomy provides clinically relevant written content and dynamic search that make it easy to find the info you need, right away. Mark up and annotate the most detailed 3D canine model available, from any angle. Indicate exactly where areas of pathology lie, and export your screenshots to your practice management software. Built in partnership with leading international institutions, and powered by the latest research in cognitive neuroscience and learning theory. Bring EasyAnatomy to your classroom and join over 70 universities already using our interactive anatomy learning platform to enhance their curriculum. LlamaZOO Interactive is a proud sponsor of the International Veterinary Students Association (IVSA).